December 5, 2018	in i've been.. So how was your Black Friday/Cyber shopping? Or for those who aren’t done with it, how it’s going for you so far? Well, I didn’t get much. 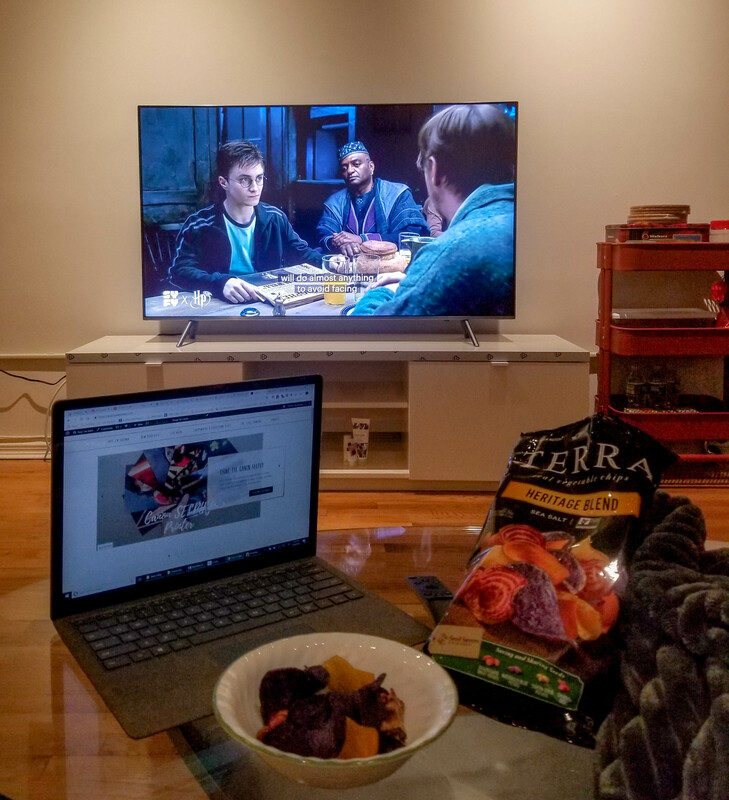 My brother and I shared to purchase a tv – the Samsung 55″ QLED Smart TV because that’s the only thing that’s lacking in our living room. And trust me, it makes a whole lot of a difference having a TV. 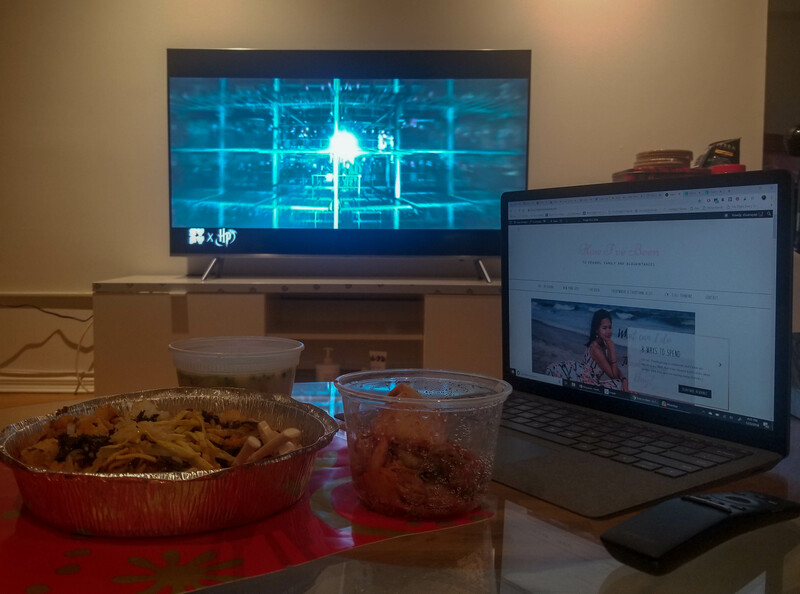 I can’t be happier because we signed up for Hulu and finally have live shows, we already have Netflix (thank you to the boyfriend) and Amazon Prime Videos.. but we don’t really use that..
Korean dinner while enjoying Harry Potter with the new TV! Just adding on: since I watched Fantastic Beasts 2 over the weekend, I’m sucked back into the Harry Potter universe and yay, it’s on Hulu! Well, the last I checked it’s kinda on Hulu, kinda off Hulu, still trying to figure out whether it’s going to be there this weekend.. So here’s enjoying Harry Potter and the Order of the Phoenix on my brand new TV! I HAVE A TV AFTER MORE THAN A YEAR OMG I’M SO HAPPY! My dressing table desperately needed a chair or stool of its own. 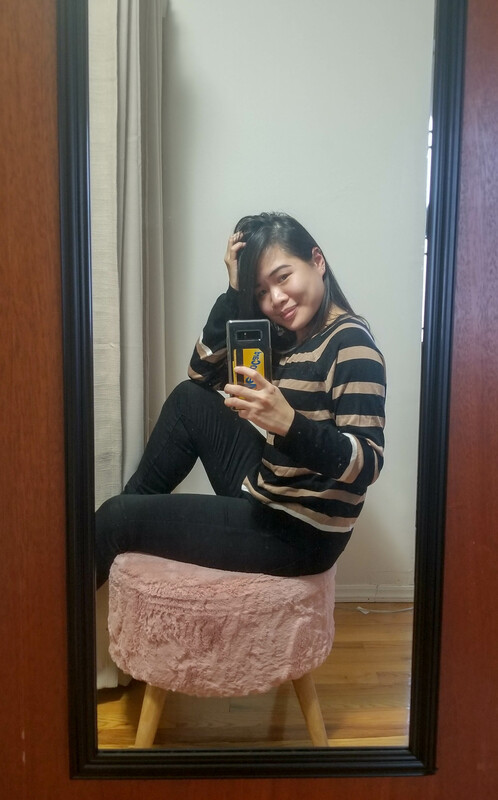 For the past year I was sitting on.. a box.. Lol. It’s the type where you can store things IN it, just didn’t cross my mind that I needed one. Until I realized it’s probably going to wear out soon, doesn’t seem sturdy. Last year was my first year here so I went all out – shoes, jackets for winter, light fancy coats, some clothing etc. However, this year I toned down a lot. Just figured I don’t have to purchase so much this Black Friday since I do my shopping all year anyway. This is my favorite store and that’s where I headed to. Again. The moment I stepped in, oh my goodness, the queue to the cashier was crazy long. They had 30% off storewide and I was waiting for the boyfriend anyway, so why not. 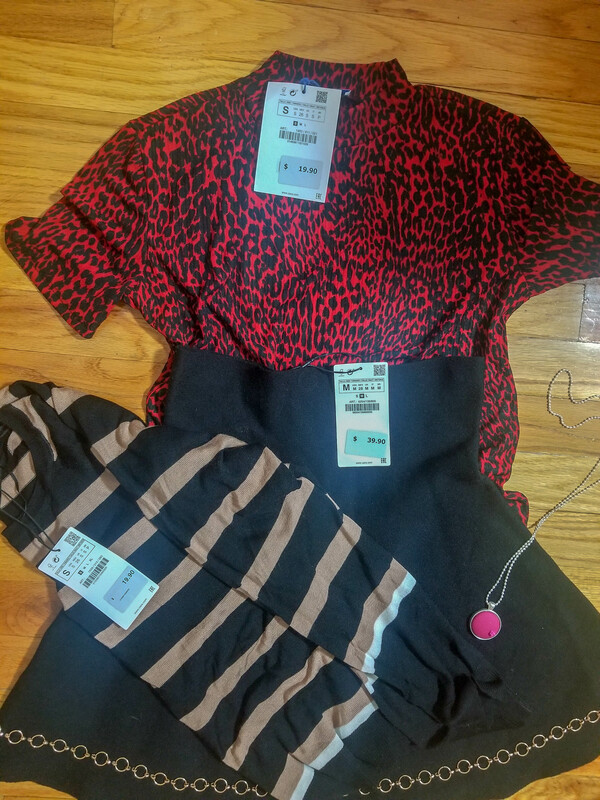 Grabbed a couple of clothing, hoping I wouldn’t fit in them so I won’t buy it but at the same time, I love their clothing so I was hoping I could fit in as many as possible. 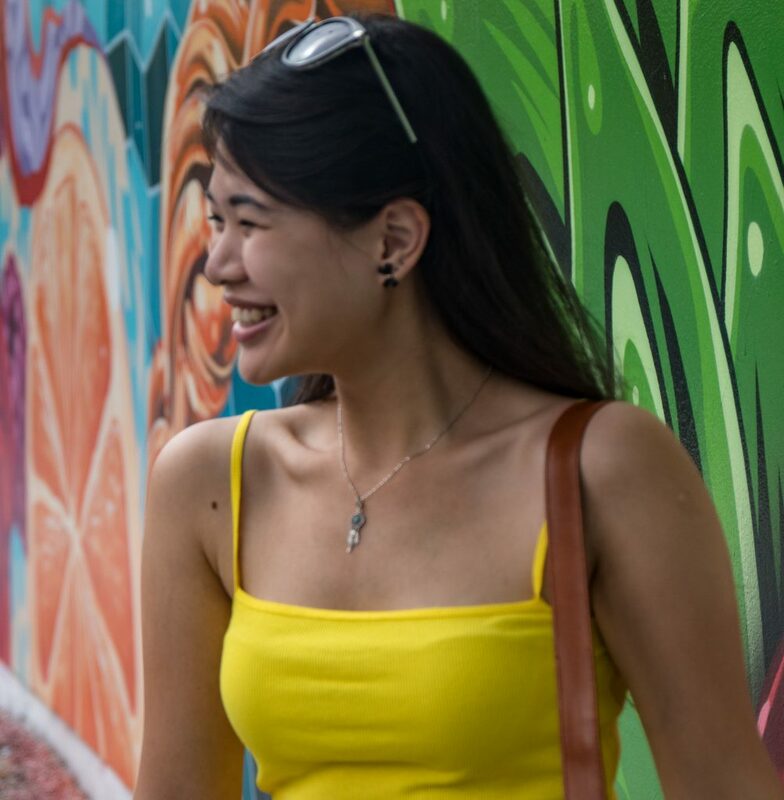 I can’t wear to wear them out and show you guys the entire outfit I put together! Well, I kinda bought it before but I’m still counting it as part of my Black Friday/Cyber Monday shopping. Because I can. 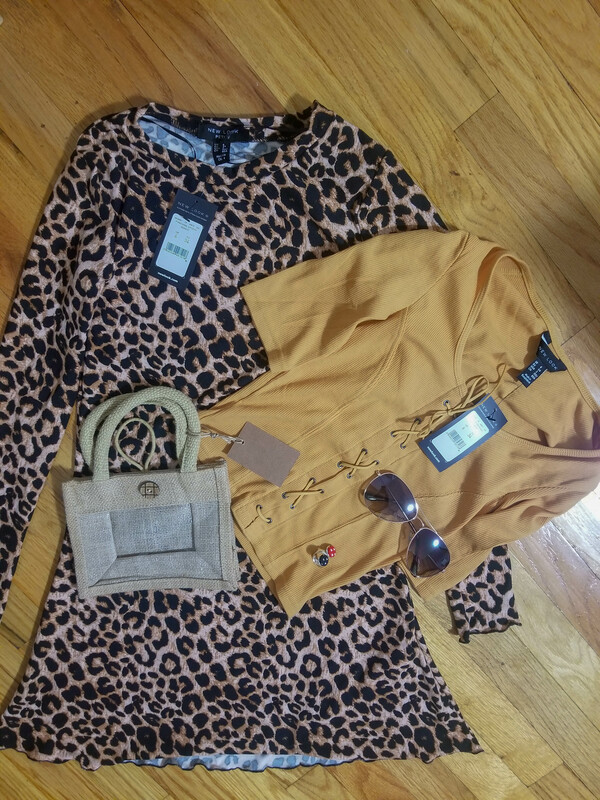 The top is really nice and fitting when I put it on and I’ve wanted leopard prints for a while now. Be it a top or pants or shoes, I just want one. And this dress is just perfect! I can wear it in fall, which is technically now but the temperature will probably freeze my legs off so maybe I’ll wait til spring. Or just risk my legs, I’ll consider that. I’ve been purchasing on ASOS since my Manchester days, for 3 years when I was there. It’s no surprise that they have a store here in the USA but I was over the moon when I found it. The quality of the clothing is so good and I’ve never really bought anything that I don’t like. Maybe some that didn’t fit me well but I mostly love it. A lot. 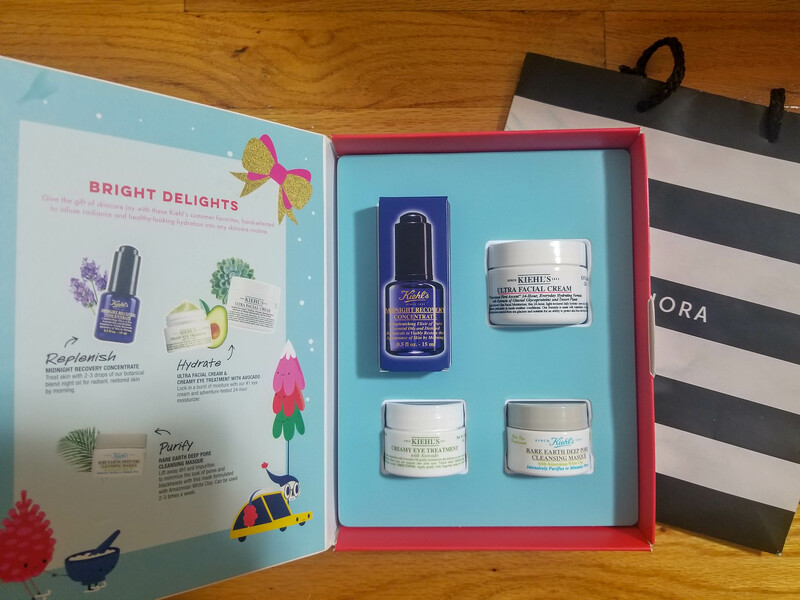 I saw this on Sephora’s website – because I love buying everything online and immediately wanted to get it because it was priced below $50 and I get to try almost everything I’ve wanted to try from Kiehl’s. To me, their products are a little on the pricey side so this is such a great deal. There’s always a but, sigh. I guess I wasn’t the only one who felt the same about this incredible gift box because it was sold out online. Thank goodness I decided to visit the store on Black Friday just to try my luck and I found it!! And it’s the last one!! We’re definitely meant to be, honey. Now I can’t wait to try it and hopefully, it won’t disappoint! Maybe I should do a review too? Sorry to disappoint, I’m disappointed myself too ugh. I bought some make up online, all from the same store but unfortunately it hasn’t arrived. But no worries, I’ll be sharing it in a different post! The day after Black Friday, I made a day trip to New Jersey – Red Mill to be exact. Omgosh, compared to NYC, things are so much more affordable where we visited. I can never find the prices I paid for in the city. Will be visiting again!! 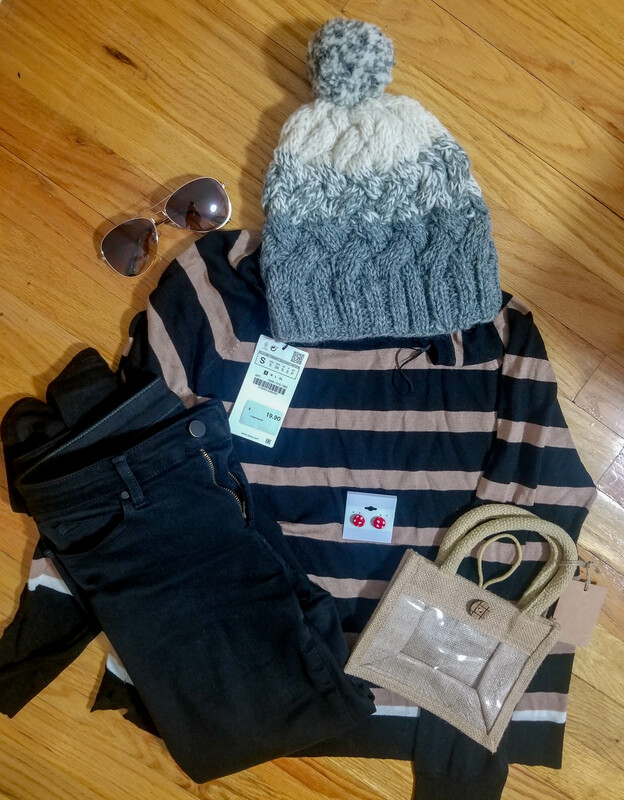 The accessories are somewhere in the picture, you can’t miss it 😉 And can you believe the tiny bag is $5? Such an amazing purchase! Funny story – I walked past this store and was drawn to this locket (the blue and red heart) and the ring, since they both match. After I paid, I was still browsing at the other products and the kind owner offered me a pair of earrings which kinda matched huh. Duh I was so happy. The thing was, I was spending quite some time there that I didn’t know whether she was hinting that I should leave. So I left. I spent the next 30 minutes thinking about the pendant that I had my eyes on earlier but because of the “hint” I left without buying it. And my boyfriend was getting impatient because I kept talking about the pendant. He just wanted to shut me up so we finally went back to the stall. I definitely felt so embarrassed to go back but whatever, I really liked the pendant. And now, it’s mine! Totally loving it. So how did your shopping go? It’s a great time to get Christmas gifts for your loved ones so I hope you had a great time shopping and do share with me what you bought! Oooh! Love that you have a nice big TV in the living room! Having different sources to stream shows and such is great. Nothing wrong with binge watching, hehe. I LOVE the ottoman!! Love that you treated yourself with a bunch of goodies. 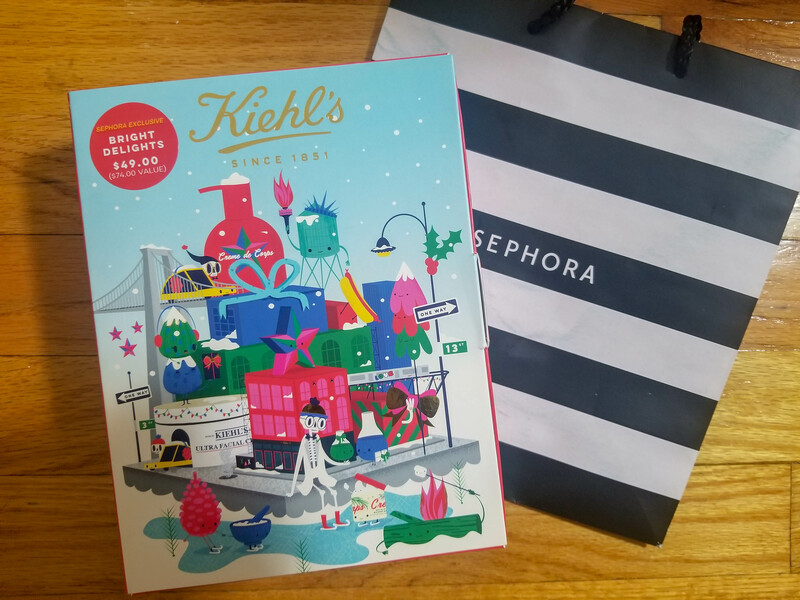 Hope you’ll enjoy the Kiehl’s kit! Glad you enjoyed shopping, hehe!